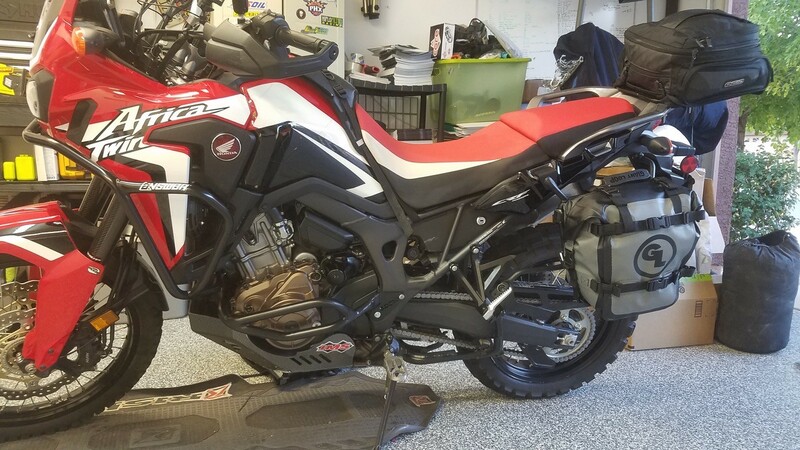 Jeff, from Tucker Rocky recently sent us some photos of his set up on his Honda Africa Twin. 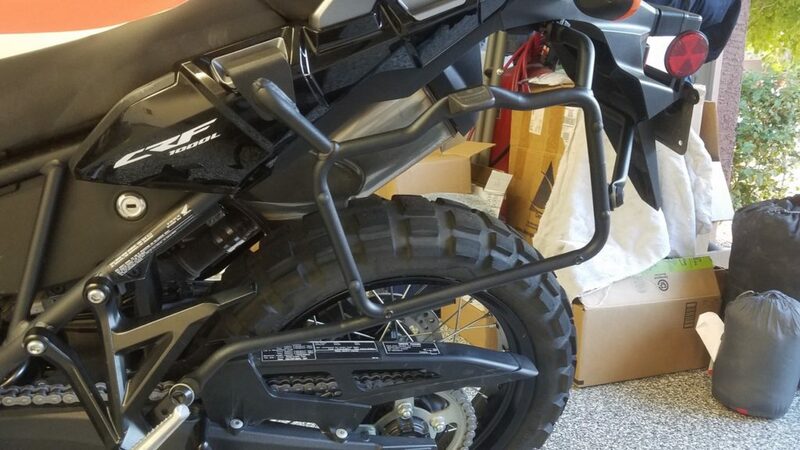 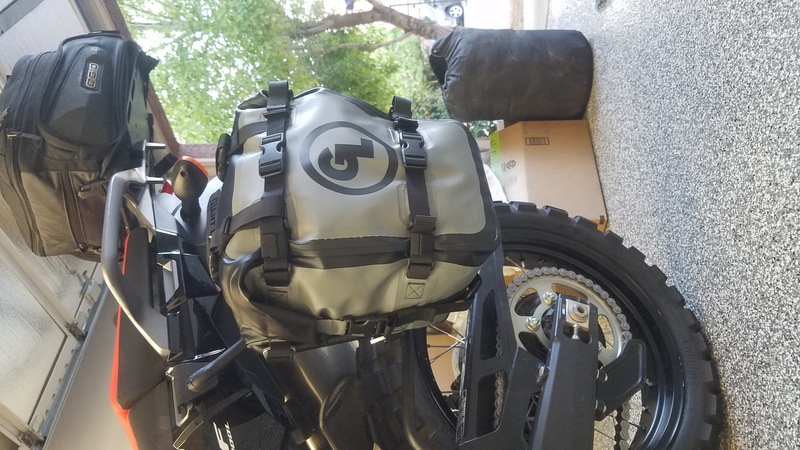 He used Givi Quick release side racks (Tucker Rocky and Givi Part #PLR1144) for mounting, looping the quick release loops of the Giant Loop Mototrekk Panniers around the 4 corners to secure. 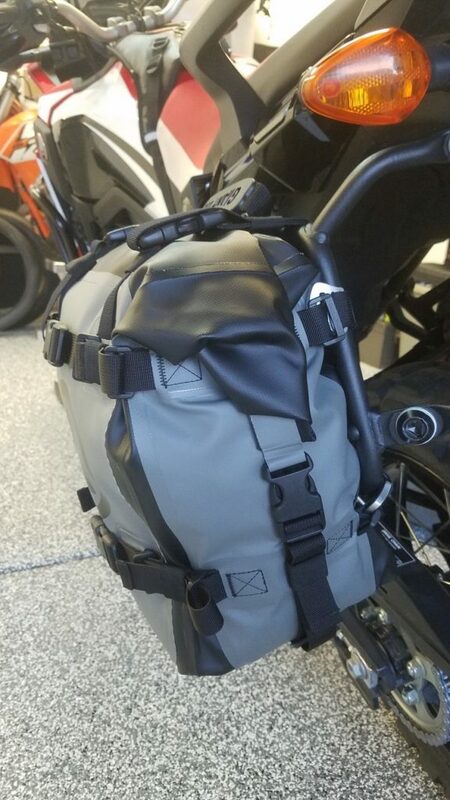 The bags mount securely with no movement and still leave a ton of space on top of the bike for a dry bag or top case. 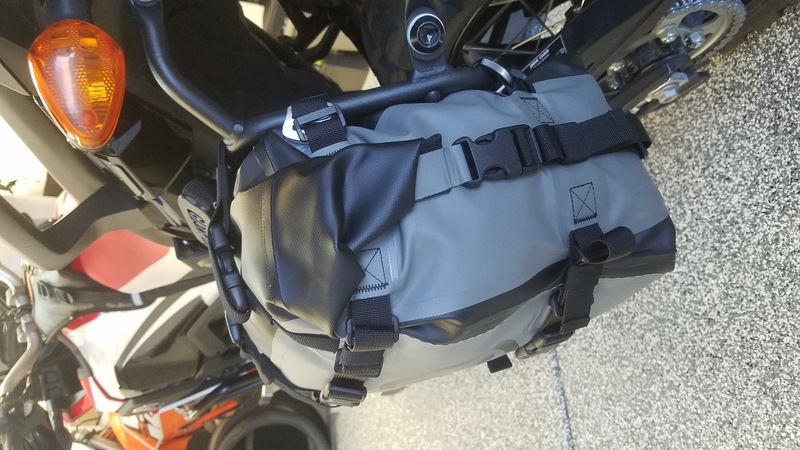 Jeff also uses a Fandango Tank Bag Pro on his Twin. 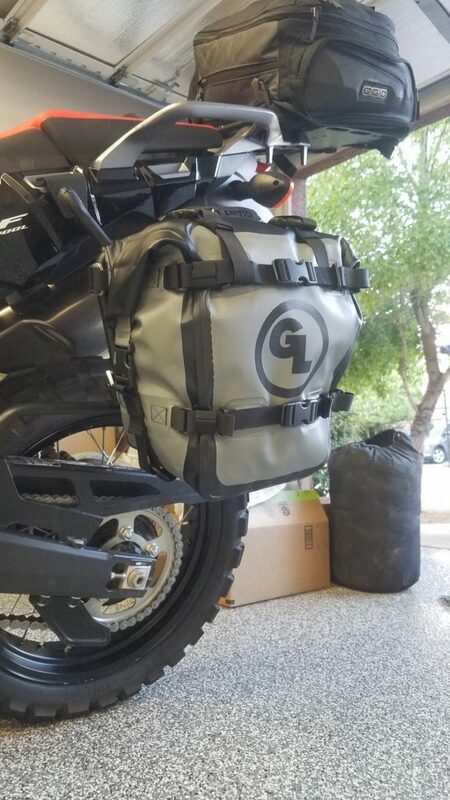 The medium sized tank bag is 8L in capacity, waterproof and attaches securely to the bike with a harness. 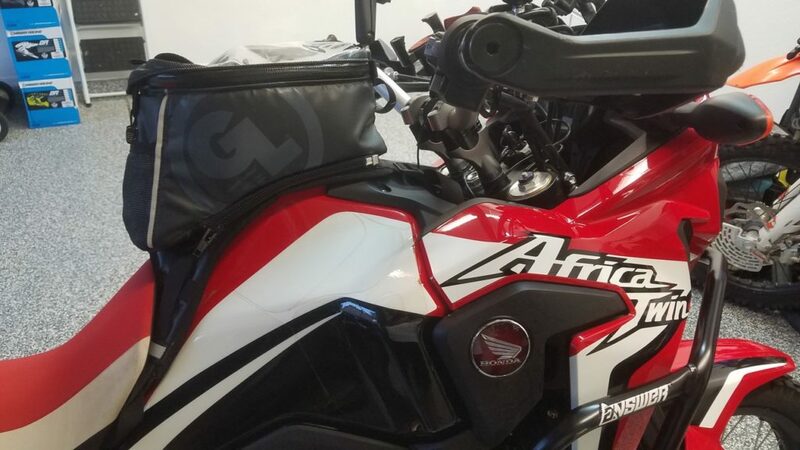 Two sturdy side zippers make it easy to access the fuel fill or remove the bag entirely for security.